Finally, beach weather! (We hope, despite the clouds early on this Saturday morning.) Temps in the 80s and into the 90s this weekend. To celebrate the opportunity to further develop our depleted ozone layer-induced skin cancers, we offer this priceless glimpse of the Coney Island boardwalk, which is certain to be rocking this weekend. 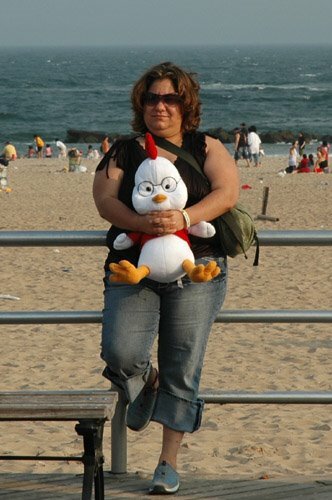 We call this Brooklyn by the Sea classic, "Choking Chicken Little."